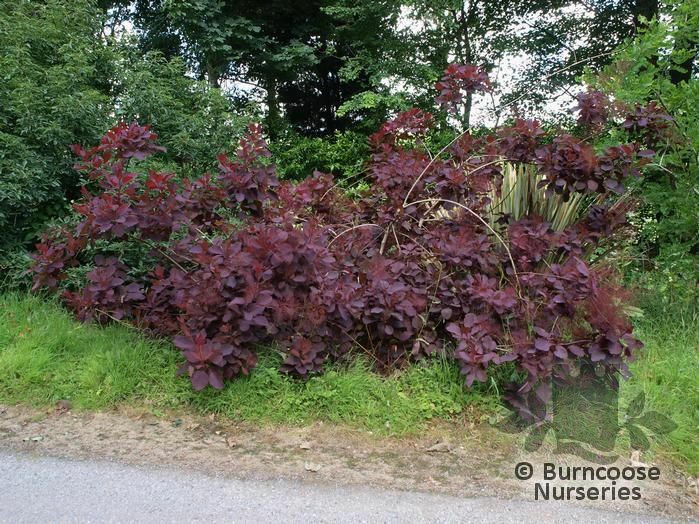 Attractive billowy, smokey plumes in late summer and a good, variable autumn colour are the attractive features of this large shrub. Genus of 5 species of deciduous trees and shrubs from rocky habitats from the Mediterranean region to China and southern USA. 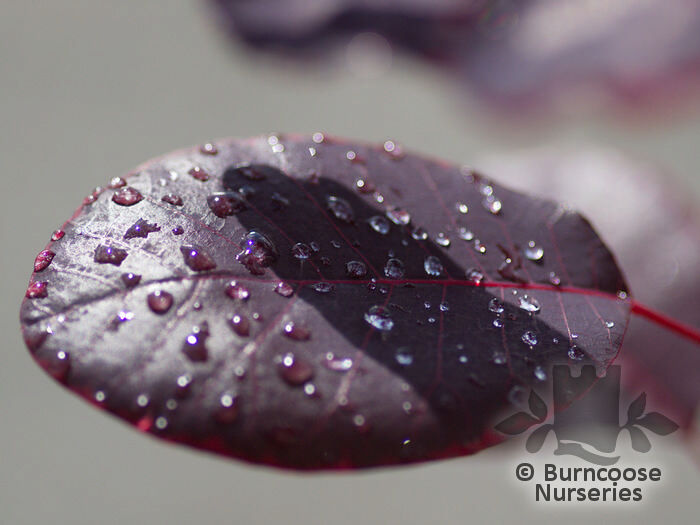 Full sun - purple-leaved varieties show best colour in full sun. 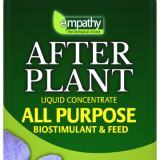 Additional Features	- Good to know - the smoky haze of soft flower plumes in summer give the plant its common name. 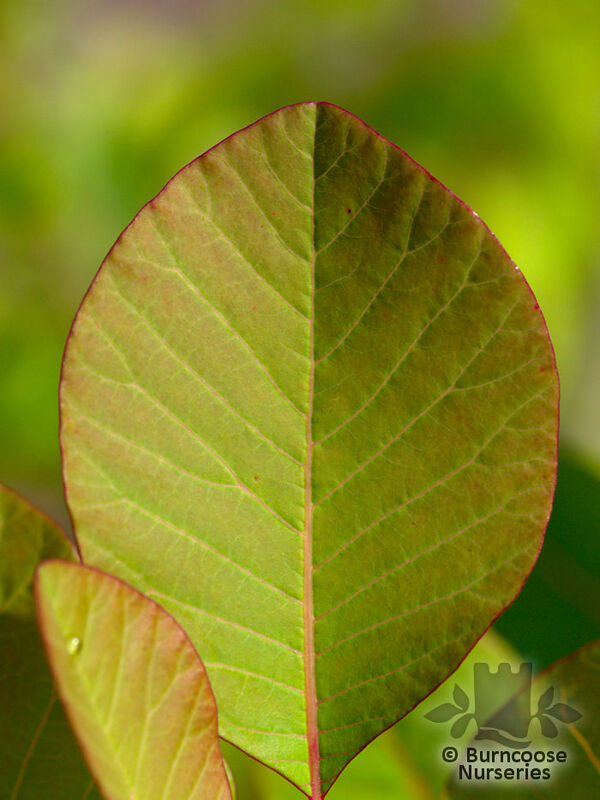 Cutting stems back hard to within 2-3 buds of the base in early spring produces larger leaves. 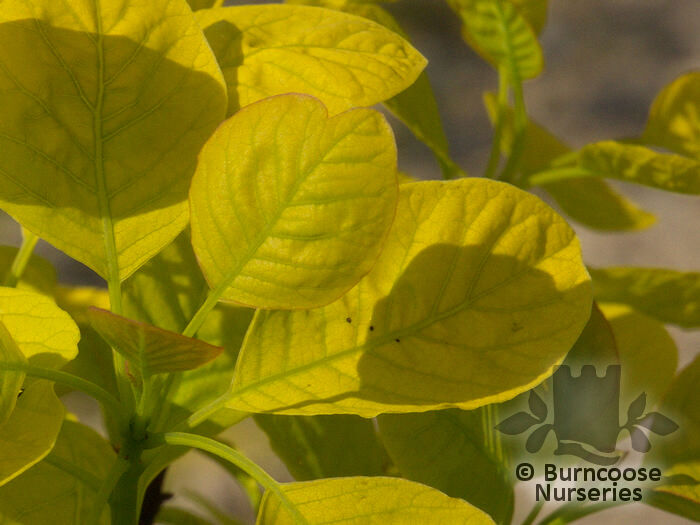 Pests & Diseases - susceptible to Verticillium wilt. Powdery mildew may affect purple-leaved varieties. Place of origin - Mediterranean to China, southern USA. 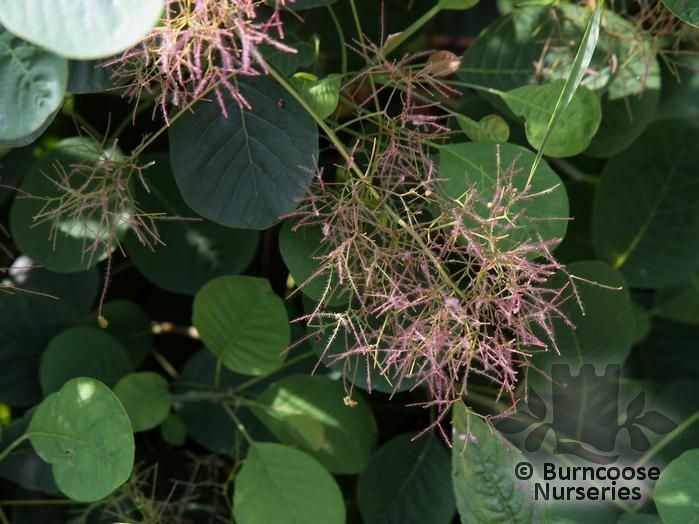 Commonly known as: Smoke bush, Venetian sumach, Wig tree. 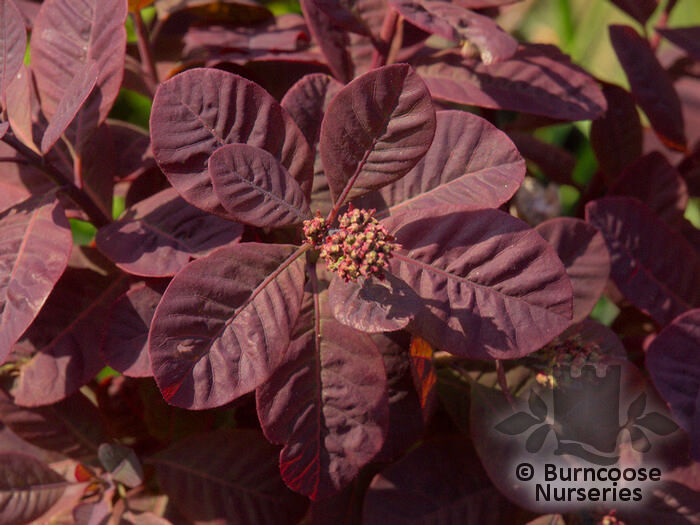 Commonly known as: Purple smoke bush, Venetian sumach, Wig tree. 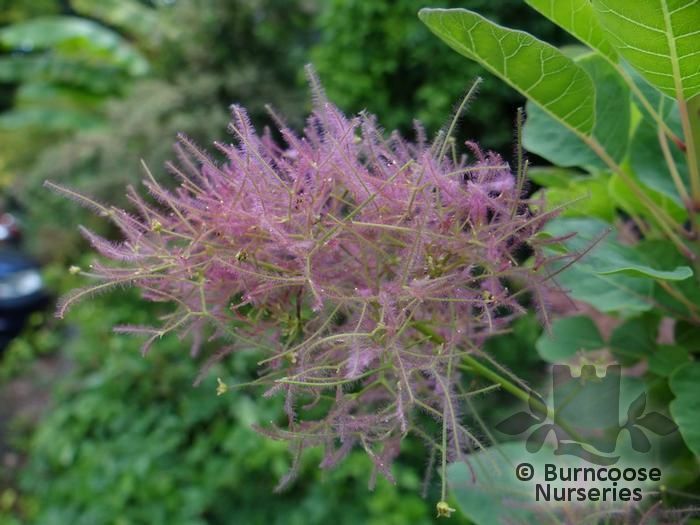 Commonly known as: Smoke bush, Smoketree.